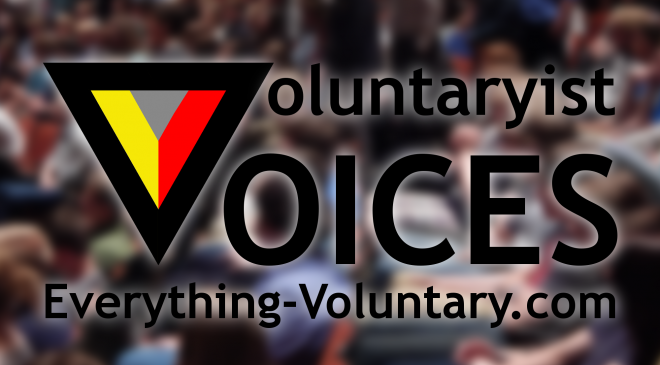 How often does the mainstream media give attention and coverage to people who calmly and rationally explain the concepts and principles of voluntaryism? Answer: pretty much never. And how often does the mainstream media give attention and coverage to “alt-right” types frothing and ranting about Jews, blacks, immigrants, etc.? Answer: as often as possible. And how often does the mainstream media give attention and coverage to immature rock-throwing commies who call themselves “anarchists”? Answer: as often as possible. With that in mind, which do you think the mainstream media (and the ruling class they work for) feel more threatened by? The “antifa” and “alt-right” crowds, with their protests, demonstrations, and counter-protests and counter-demonstrations, are doing exactly what the political fear-mongers want, giving them conflict among the masses to exploit for their “divide and conquer” BS. Yes, both of those movements almost certainly include “government”-created plants and instigators, but also include large numbers of angry, insecure, useful idiots, serving the ruling class’s narrative perfectly. The ultimate irony is how often the “alt-right” claims that actual anarchists are helping push the agenda of the “new world order.” Really? Then why does the media constantly suppress actual voluntaryists, while promoting and drawing attention to bitter, angry, violent idiots, “left” and “right”? 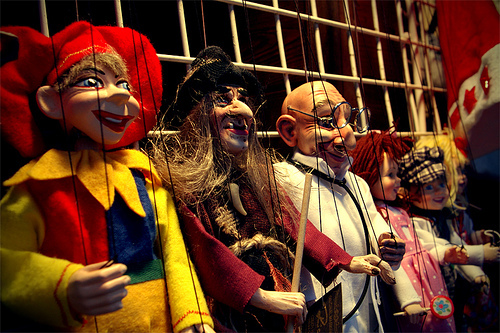 Puppets on a string. And they don’t even notice.